At TD Wealth, we believe that each client’s needs are truly unique. Our goal is to offer you the relevant, customized wealth advice you deserve - and we can do that only by fully understanding you. That’s why we take the time to understand you, your family and your values. 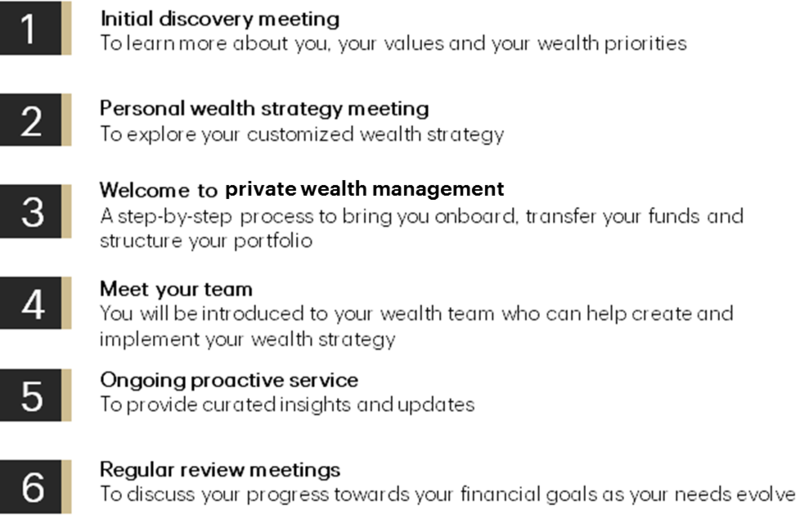 With a deep understanding of your priorities and values, we will build a team of specialists around you to develop a Wealth Strategy that's as unique as you are. Whether your needs are straightforward or complex we are dedicated to delivering tailored, comprehensive, wealth management strategies that are rooted in your goals. As your needs evolve, so will the services and solutions we can provide. We will be in touch with you on an ongoing basis to provide you with advice and information relevant to your unique financial journey. And when you need advice, we will be there with the breadth of our expertise and the personalized attention you deserve. We stay in tune with your needs and help ensure you’re on track to achieve the future you envision for yourself. We want you to live your best life in retirement – that's why we develop a tailored, comprehensive roadmap to help get you there. Also, making the shift to retirement can be a big change that sometimes feels overwhelming, so we make sure we are here for you every step of the way. Whether you're preparing to retire or ready to enjoy your retirement, we're here ready for you with the strategies and advice you need. We can help you take steps today to transfer, preserve and manage your wealth for future generations. It's been a lifetime in the making. So now you deserve nothing less than specialized services to help you preserve your wealth and leave a meaningful legacy. From succession planning to gifting and philanthropy, we'll help you transfer your wealth to those that matter most to you. In the years to come, trillions of dollars will move from one generation to the next. What people may not be aware of is this wealth transfer may also trigger one of the largest tax liabilities in history. That can mean the single greatest recipient of this movement of wealth may not be our sons or daughters, loved ones, grand-kids, or our favorite charities — it could be the tax collector. As an Investment Advisor, my mandate is to help you preserve and grow your wealth though tailored investment solutions. Dedication to exceptional client experiences and innovative financial strategies are the foundations of our business. I will deliver proactive and personal advice, working closely with you to make key decisions about your portfolio that are in line with your goals. 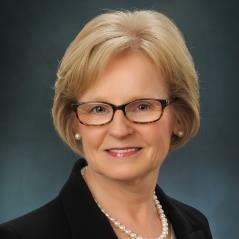 I have been providing my clients with tailored wealth management solutions for over three decades. My passion is helping people and their families. I work in collaboration with a team of TD specialists. 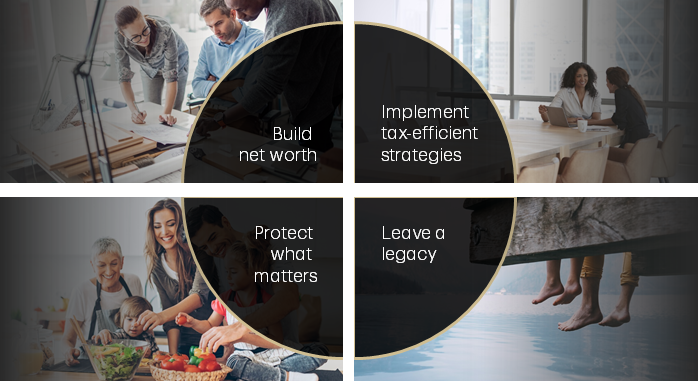 In working with me, you will have access to a knowledgeable team of planning specialists who can help you with strategies to grow and transition your wealth. TD specialists provide wealth planning services, tax mitigation strategies, estate planning and business succession planning. When I’m not engaging with clients, I like to ski, run, read, garden, travel and spend time with my family.